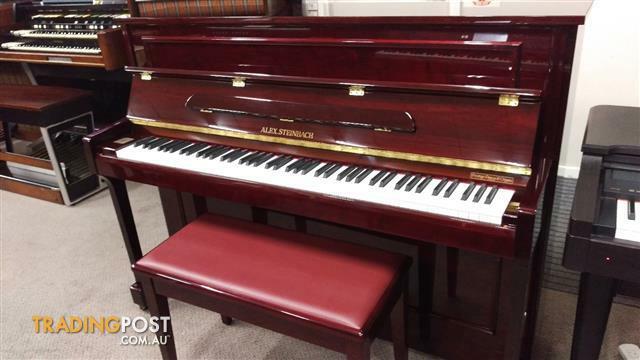 Just Arrived, hardly used as new, in Excellent Condition and has been well maintained.This Mahogany Polished Steinbach piano is an ideal choice for a student starting out on their music career to professional musicians. Classic cabinet design with decorative wood inlay on the front panels. This piano design will suit people renovating or residing in more decorative homes from the Federation or Edwardian era. The addition of rubber castor wheels makes this model easy to move on wooden floors.